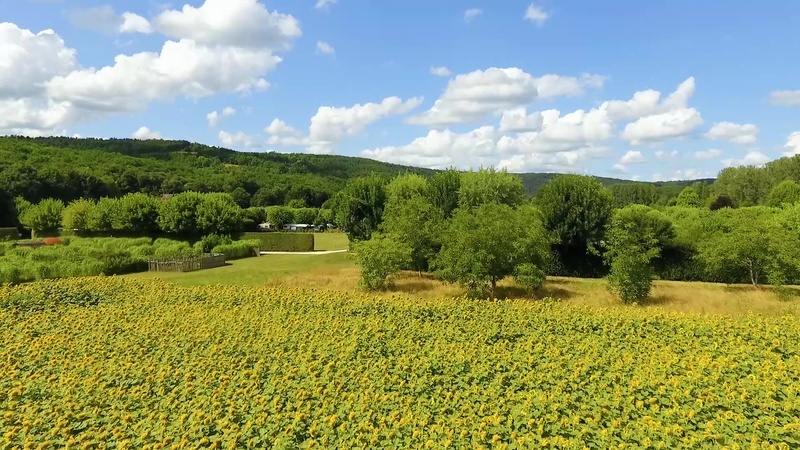 Just 4 km from Saint Léon, listed as one of the “Most Beautiful Villages of France”, among 7 ha of land at the edge of a river… Welcome to our green paradise ! 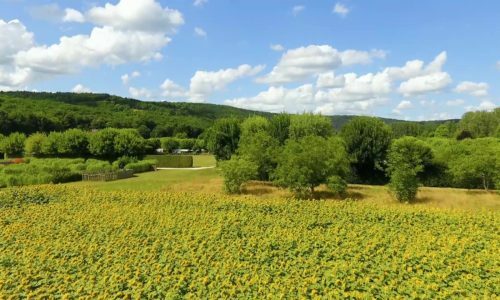 The landscaped setting of this five-star campsite is truly remarkable. 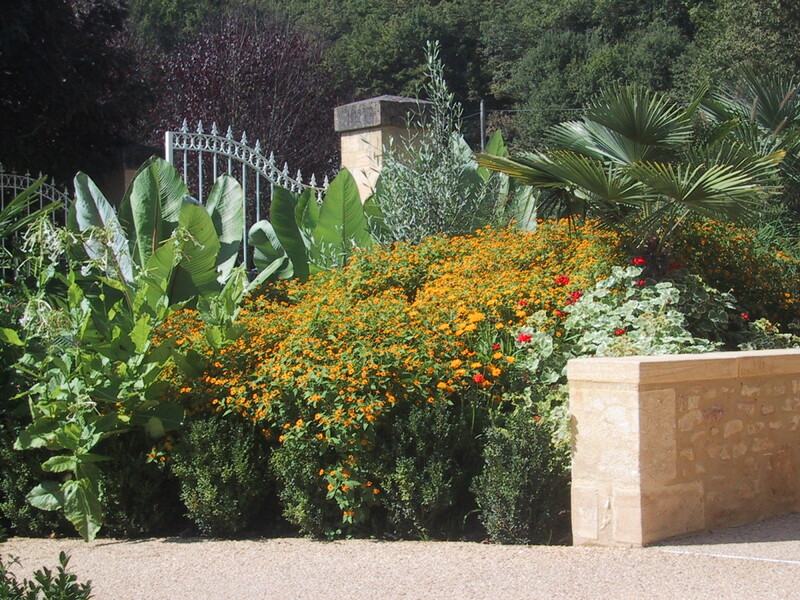 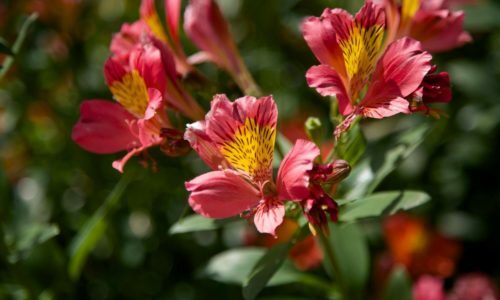 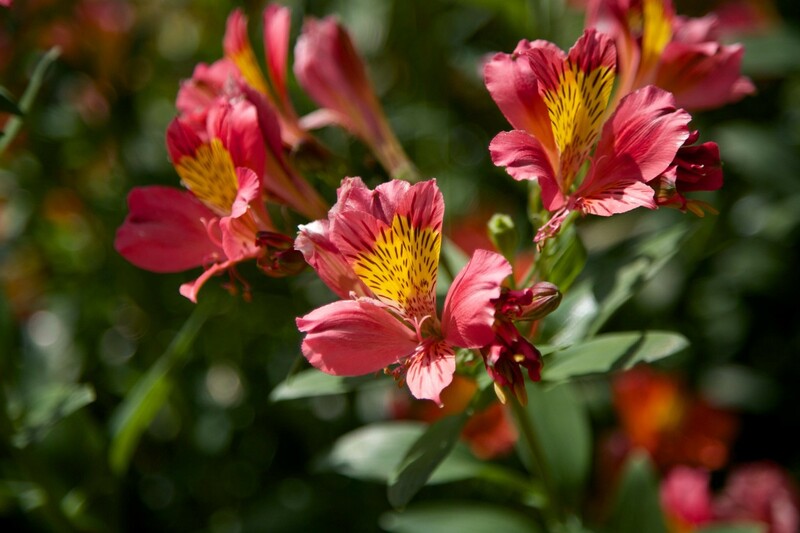 The diversity of its plants and the aromatic and gourmet gardens are a delight for the senses. 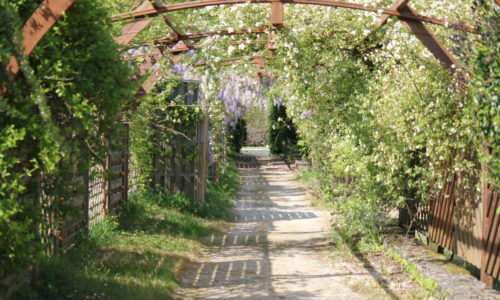 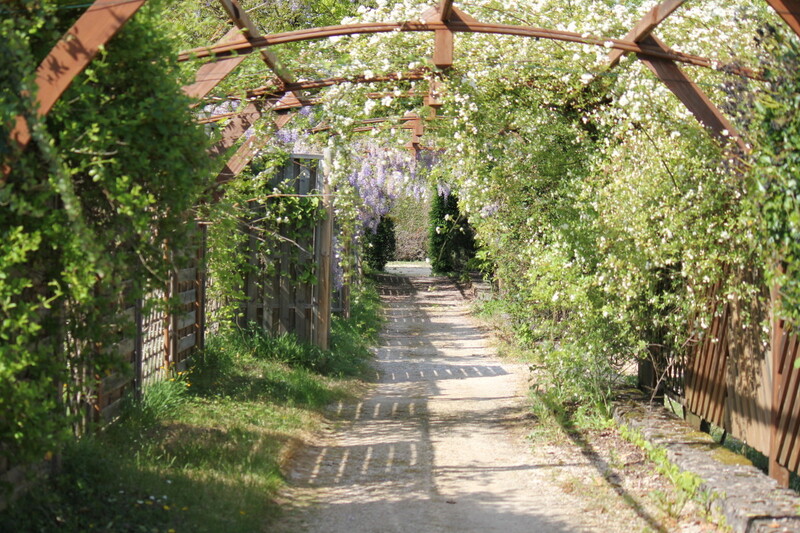 Little paths among the greenery and flowers that bloom as the seasons pass, covered here and there by lush pergolas, bring structure to the various landscaped areas of the campsite. 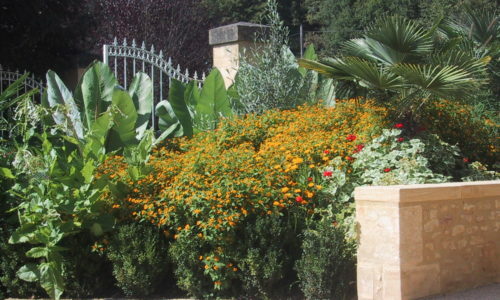 Our landscaper has combined the exotic touch of palm trees, banana trees and bamboos with the authenticity of native species such as hornbeams and hazelnuts. 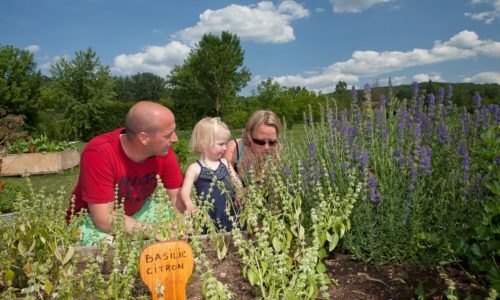 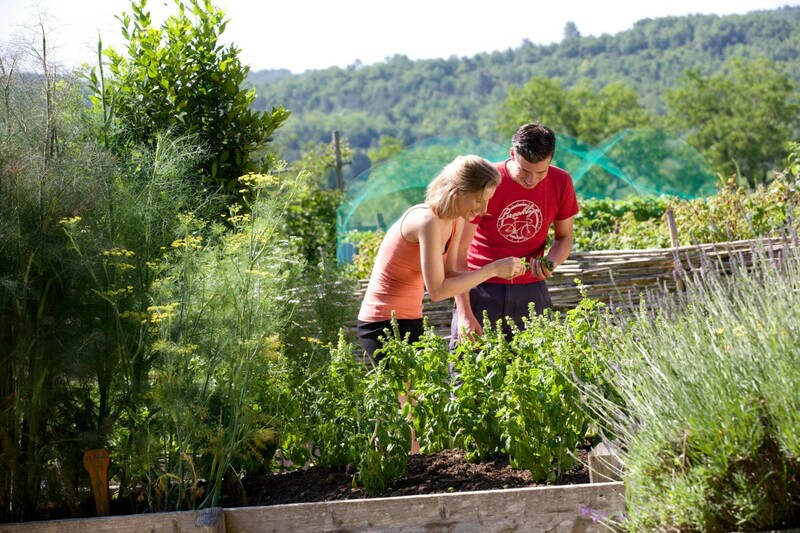 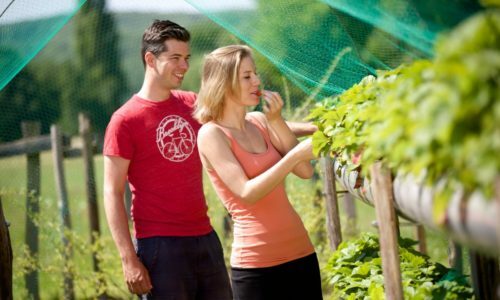 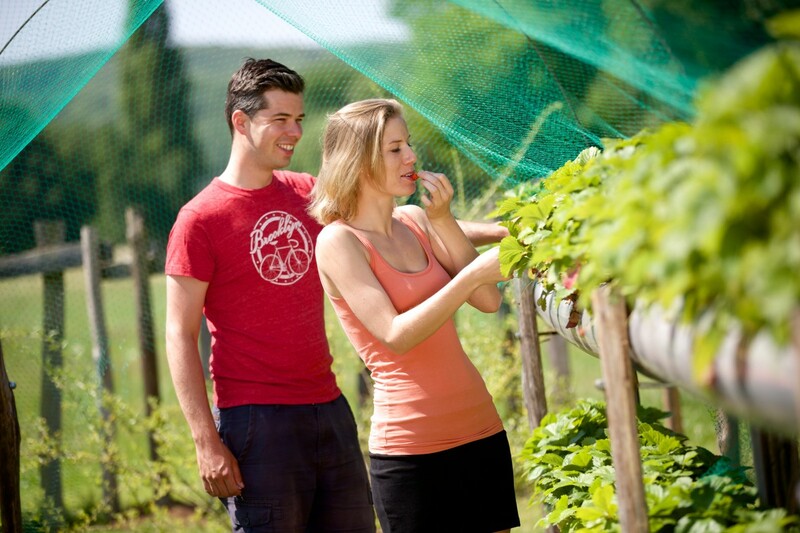 We offer our guests a place to relax and share in gardening with a collection of 40 comestible species. 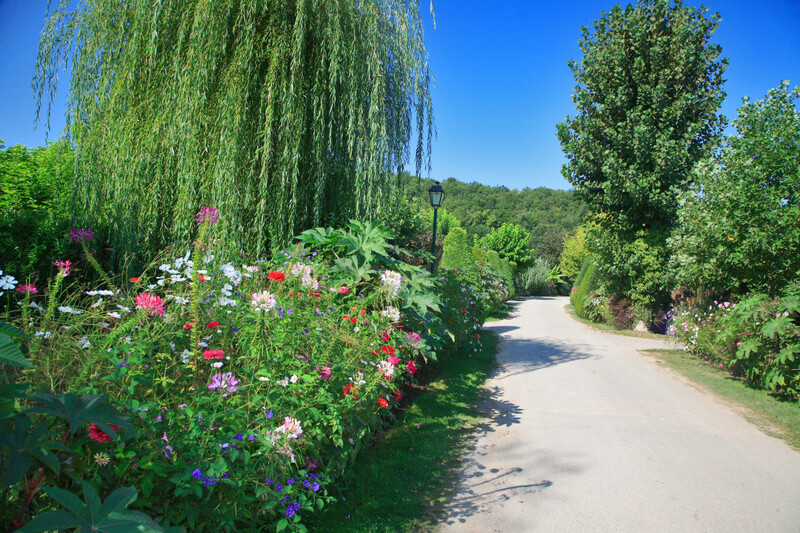 The garden blends traditional herbs with fragrant plants and includes a red berry picking area. 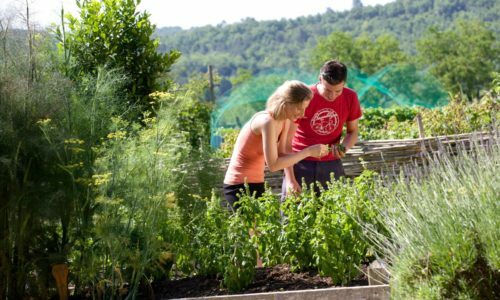 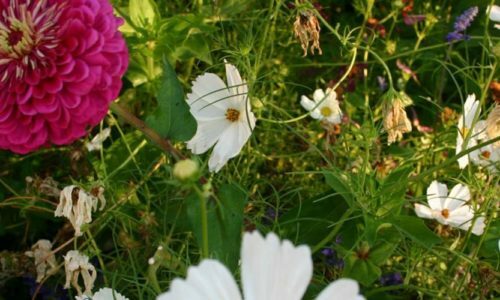 We hope that this “sanctuary” garden will encourage you to discover new plants that you might use in your kitchen, and that you might participate in this adventure by planting a few seeds in this shared garden area. 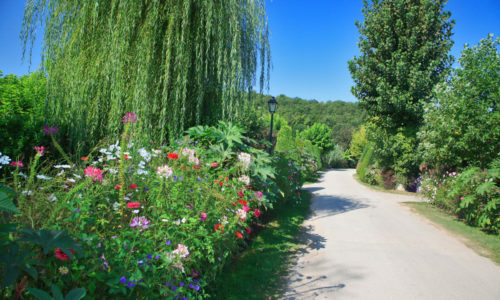 From the pontoon, the path along the river leads to La Roque Saint-Christophe (end of access road for motor vehicles).